Unity Phelan and Zachary Catazaro perform the world premiere of âSolitaire,â by Claudia Schreier with pianist Cameron Grant and the Catalyst Quartet on the NOW: Premieres program of the 2016 Vail Dance Festival. Traditionally, ballet choreography has been a manâs world â and still is in many dance companies. 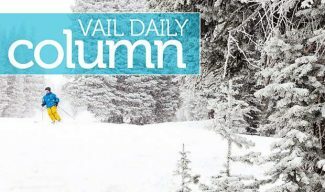 Damian Woetzel, artistic director of the Vail Dance Festival, is about to break that age-old tradition, as he presents an entire evening at the 2017 Vail Dance Festival dedicated to female choreographers. Woetzel is again pushing the boundaries with this seasonâs NOW Premieres: Celebrating Women Choreographers, which takes place Monday, Aug. 7, at 7:30 p.m. at the Gerald R. Ford Amphitheater in Vail. Featured choreographers include New York City Ballet principal Lauren Lovette, neoclassical and contemporary ballet choreographer Claudia Schreier, acclaimed modern dance choreographer Pam Tanowitz and tap dance revolutionary Michelle Dorrance. Learn more about the 2017 Vail Dance Festival and view the full show schedule at www.vaildance.org. Unity Phelan and Zachary Catazaro perform the world premiere of “Solitaire,” by Claudia Schreier with pianist Cameron Grant and the Catalyst Quartet on the NOW: Premieres program of the 2016 Vail Dance Festival. Traditionally, ballet choreography has been a man’s world — and still is in many dance companies. Damian Woetzel, artistic director of the Vail Dance Festival, is about to break that age-old tradition, as he presents an entire evening at the 2017 Vail Dance Festival dedicated to female choreographers. Woetzel is again pushing the boundaries with this season’s NOW Premieres: Celebrating Women Choreographers, which takes place Monday, Aug. 7, at 7:30 p.m. at the Gerald R. Ford Amphitheater in Vail. Featured choreographers include New York City Ballet principal Lauren Lovette, neoclassical and contemporary ballet choreographer Claudia Schreier, acclaimed modern dance choreographer Pam Tanowitz and tap dance revolutionary Michelle Dorrance. Learn more about the 2017 Vail Dance Festival and view the full show schedule at http://www.vaildance.org.